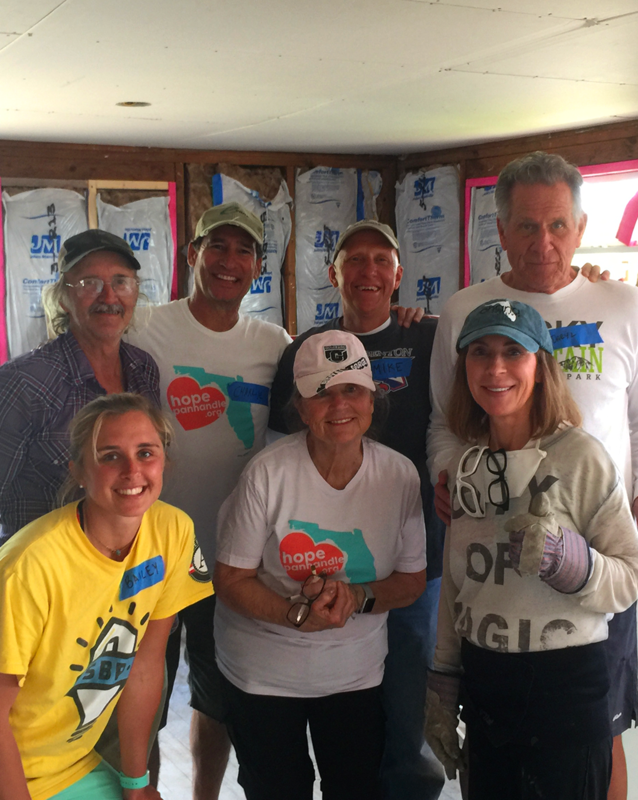 Welcome to HOPE Panhandle, Inc.
After Hurricane Michael pummeled through our area on October 10, a group of local volunteers established the non-profit, Hope Panhandle, committed to offering relief and recovery to the Florida Panhandle. 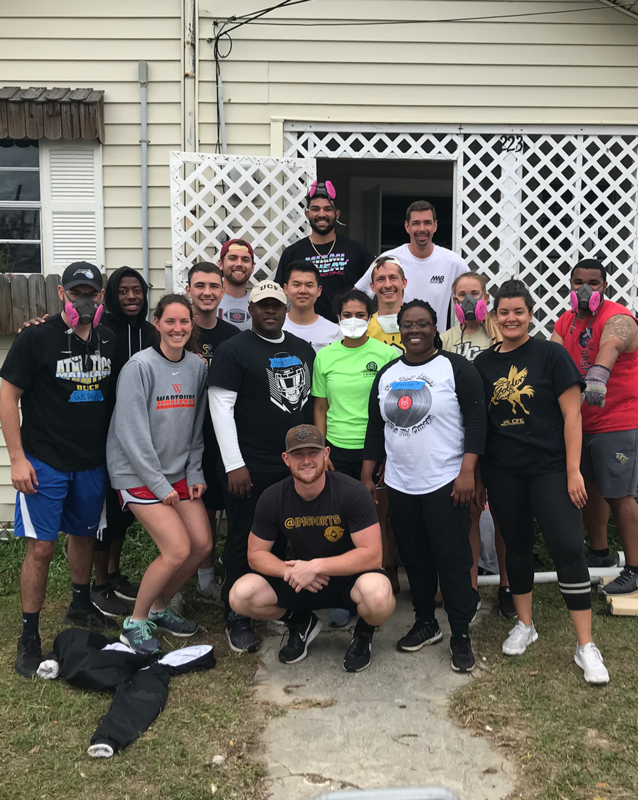 What began as serving meals and offering items of necessity quickly transitioned into rebuilding efforts assisting people who have found little to no hope of moving “back home” due to the storm’s devastation. Hope Panhandle merged into a construction operation by following a model designed by a National organization called SBP who has AmeriCorps employees lead rebuilding efforts. Under this method, anyone above the age of 14 can help. The process begins with Muck/Gut/Mold remediation and ends with a complete rebuild for an individual home. So far, with the help of SBP, Hope Panhandle has been able to muck/gut/mold-remediate 87 homes, and we are currently rebuilding 5 whose residents are set to move back home throughout the month of April. The rebuilding effort has been able to offer volunteers an opportunity to provide real HOPE for those tremendously effected by the storm. While roofing, electrical, plumbing, and HVAC are all subbed out, volunteers complete all other tasks. This includes installing insulation, hanging sheetrock, mudding, painting, installing flooring, etc. 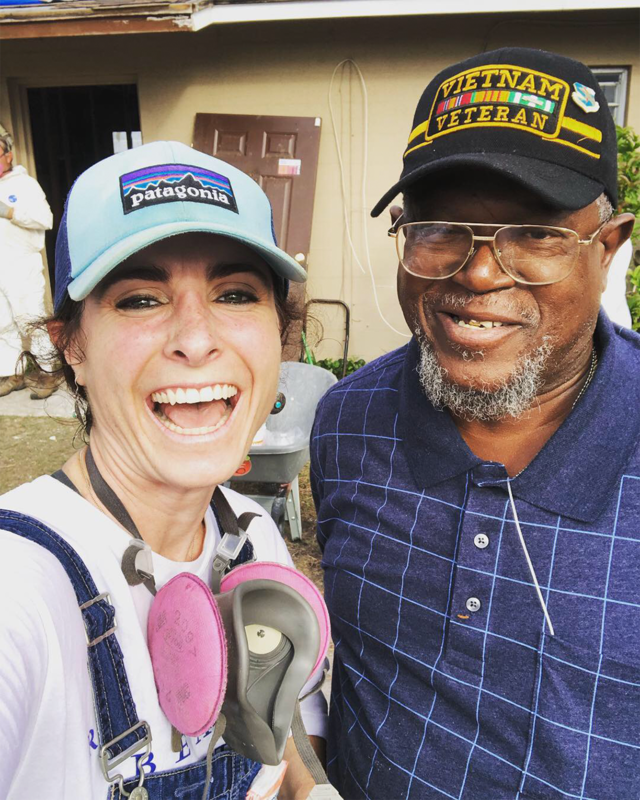 We generally have groups of about 15 volunteers on each home throughout this process—volunteer hours are recorded and given back to the community for "matched" FEMA funds. You can help us provide this HOPE! Visit our volunteer page today, and sign up to help. Despite the personal effect this storm has had on our community, we find that there is healing in offering HOPE. Thank you for your support as we strive to bring back a new normal to Bay County.